There is life on other planets-THEY find it. 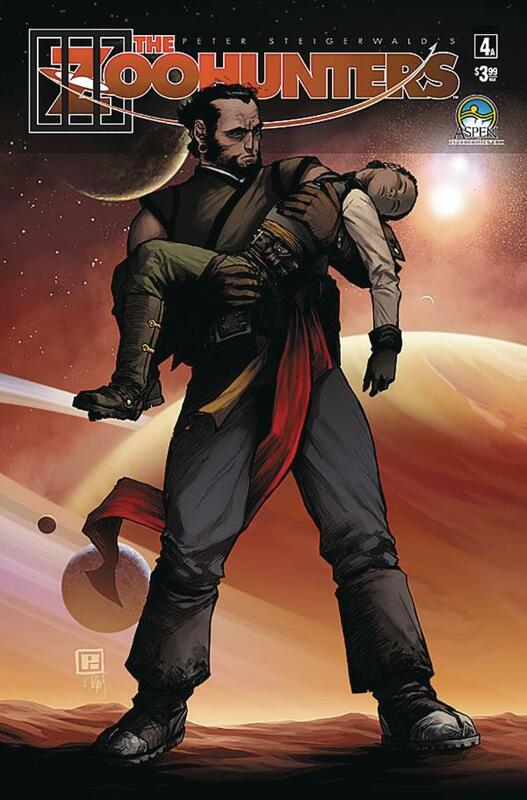 After their encounter with the villainous Quarec, Abros is in a race to save his son Ty from death. Can he and Minalara keep Ty alive or will Abros lose the only family he has left? The critically acclaimed series makes its long-awaited return as creator and artist Peter Steigerwald presents to you Aspen's most out of this world hit series - THE ZOOHUNTERS!